The Lovington Bakery has opened for business at 1 Market Place, Wincanton. Owner Phil Nicodemi has leased the premises, which were formerly occupied by Elegant Home. Phil and his team worked right up to the last minute to ensure that the shop opened on time before Christmas. The first customers arrived more or less as soon as the shop opened at 8.00am. Business was brisk throughout the morning and Phil said that this first day’s business had far exceeded his expectations. By mid-day the shelves were almost empty. Although the Wincanton shop is called The Lovington Bakery, Phil’s core business is based in the village of Lovington, Castle Cary, where the business is called Lievito Bakery, influenced by Phil’s Italian heritage. Lievito is Italian for 'yeast', an apt name for a bakery. Over time the locals have affectionately renamed it The Lovington Bakery. 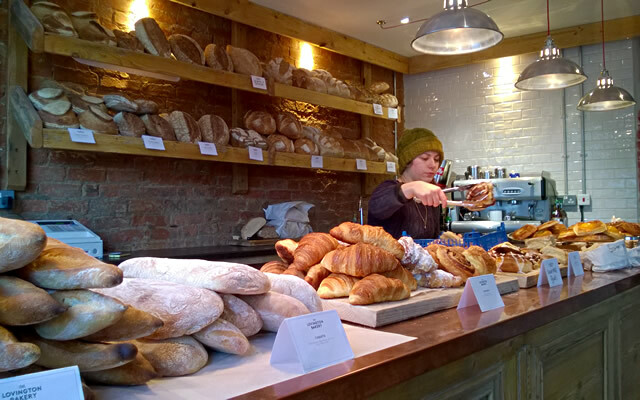 Business started in Lovington three years ago, as a wholesale bakery supplying handmade artisan breads to restaurants, cafes, delis and events, with the added bonus of its own factory shop. If you have visited Kilver Court at Shepton Mallet, Queen Street Deli in Wells, Sabins Deli in Sherborne, Kitchen in Langport, Earth Fare of Glastonbury, and Prior Park Farm Shop of Bath, you will already have experienced bread and pastries from The Lovington Bakery. The bakery’s reputation spread far and wide, resulting in more and more customers calling at the Lovington factory shop every weekend. That growing support led to Phil keeping a weather eye open for potential sites to take the business onto the High Street. The Wincanton premises ticked all the boxes, making this Lievito’s first High Street outlet. 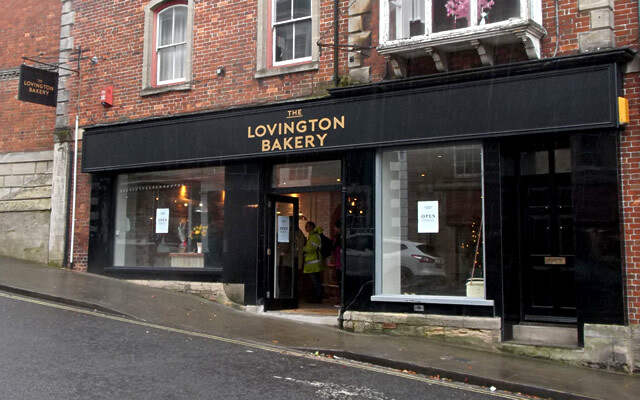 Phil decided to promote the new town centre business using the locally adopted name The Lovington Bakery. The shop is centrally located at the main crossroads in the Market Place, and is easily reached from the free Churchfield car park. 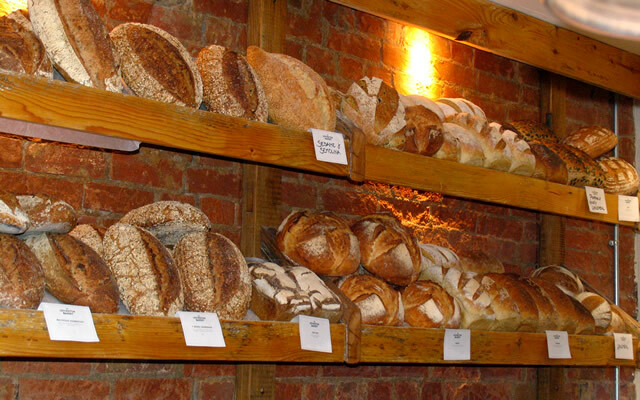 Visitors to the Wincanton shop will discover a wide range of handmade, hand shaped, organic breads and pastries. Phil is adamant that no chemicals are used. Only high quality organic flour and top grade yeast are used. Unlike many major bread manufacturers who use additives to force their dough to rise more quickly, Lovington allows the doughs to prove naturally for around 24 hours before baking. Customers have welcomed the return of a real bakery to the town. Local resident Fanny Charles said, "The almond croissants are an irresistible breakfast time treat!" We are very lucky to have such a high quality bakery right in the centre of Wincanton, complementing our excellent butcher, wine merchant/cafe, Post Office and delicatessen. Why shop for food elsewhere? As long as Fanny Charles leaves some almond croissants for me.